The idea behind paying off a loan faster than scheduled is pretty simple: It saves you money. That’s a huge part of the reason Andrea Stewart and Jerimiah Honer decided to repay their 30-year mortgage in just seven years — by doing so, they saved more than $130,000 in interest. Now the couple has an opportunity to achieve other goals, like invest beyond their property and existing retirement funds, travel and maybe do a little shopping. The frugal pair hasn’t done a lot of that in the last several years. Stewart, 32, and Honer, 36, worked hard to save money as they tried to accelerate their loan repayment, but they acknowledge they also had a lot of luck. Paying off debt is a different journey for everyone, but here’s how they quickly achieved their dream of owning their own home. 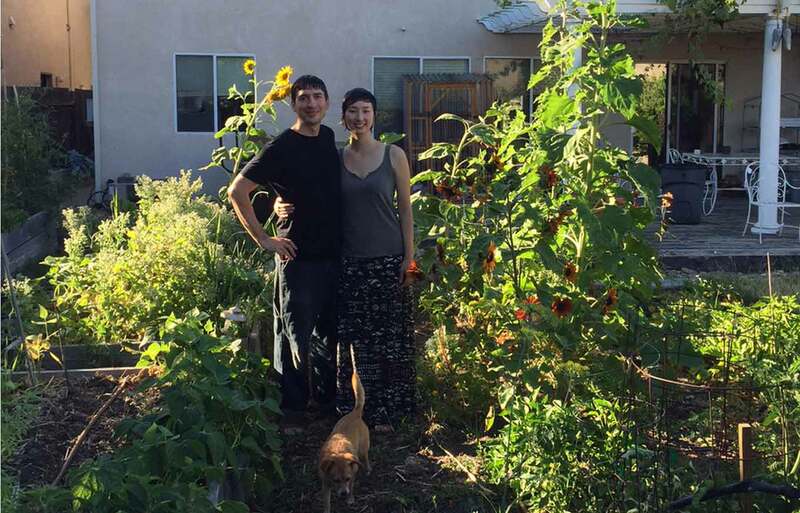 Stewart and Honer bought their house on a 0.10-acre lot in Sacramento for nearly $300,000 in 2008. Their combined annual income from their full-time jobs amounts to roughly $150,000, but they received supplemental income from a variety of sources along the way to repaying the mortgage. They made a 10% down payment and received a 30-year mortgage with a 6.75% interest rate, but they refinanced twice, to 5.25% and then to 3.875%. Honer calculated their estimated savings of $130,000 using the lowest rate. The couple had some student loan debt when they took out the mortgage, but by paying an additional $200 a month toward their education debt, those loans were paid off by the end of their first year in the house. That’s when they switched their attention to the mortgage. The property itself had a huge impact on the couple’s ability to put a lot of money toward their home loan. The house is close to downtown Sacramento, allowing them to easily commute by bicycle and sell their second car. Honer and Stewart also grow most of their own food. Not only did they save a lot on gas, vehicle expenses and grocery bills, they also budgeted as if they made less money in the first place. Honer crunched the numbers, and even though both he and Stewart have full-time jobs, they figured out they could manage under one income. The second income went toward the mortgage, and Honer made his own amortization schedule to determine how much they could afford to pay (and eventually save). For anyone interested in trying to replicate their success, there are a few things to know. First, they paid off their other debt obligations (student loans). In addition to cutting out expenses and keeping to a strict budget, Honer and Stewart received some money besides their regular income, which they put toward the loan. The two are aspiring writers and made some money from side gigs, but they also received personal-injury settlements from two separate times a car hit one of them while riding a bicycle. Getting hit by a car isn’t exactly good fortune, but the settlements amounted to $37,000, which helped cut down the debt. Inspired by a friend’s successful pregnancy through egg donation, Stewart twice donated eggs and received about $6,000 each time. Their story is a combination of hard work, a solid financial situation and luck, but a lot of their success comes down to decision-making: They could have done a lot with their regular income and the additional money they came into, but they chose to put it toward a specific goal. That means their home cost them thousands of dollars less than it could have if they paid for it on schedule. There’s not much they would have done differently, though they admit they could have saved more, rather than just pay off the home loan and contribute to their retirement accounts. Honer and Stewart don’t see themselves changing their spending habits now that this huge loan is behind them, and they plan to stay in the home for a long time. Now they’re interested in exploring other investments and maybe even retiring early some day. “I hope it helps some people,” Stewart said of her decision to share their story. She posted about it on Reddit, where it generated a lot of conversation. Her advice? “I would say just think about what makes you happy.” That’s what drove their decisions, and it kept them on track for years. Christine DiGangi is the former Deputy Managing Editor - Engagement for Credit.com and covered a variety of personal finance topics. Her writing has been featured on USA Today, MSN, Yahoo! Finance and The New York Times International Weekly, among other outlets. I always question the premise of these articles that say this couple “saved” $130,000 in interest. I would only consider it savings if there was a bank account that has $130,000 in it. They may save that in monthly dribs and drabs over 30 years, but the word “save” seems to be a stretch. They “avoided paying” that $130,000, but again, they see that over 30 years, not in a lump sum. In this example I would look at the effort they put into growing a garden and riding bicycles to work as labor, and you are then putting a price on the time invested on that garden and riding that bike, which requires an early wake up and the possible very uncomfortable situation of sitting next to a coworker smelling from the sweat that the bike ride generates. Of course everyone has their own opinion about things like this, but I have no interest in riding a bike to work (I am retired anyway) or actually physically putting my hands in dirt to grow tomatoes I can buy at the store 2.3 miles from my house. If I have to spend 15-20 hours a week digging and pulling weeds, wake up 90 minutes early, and work my job all sweated up, AND THEN ride the bike home after a hard day, I’ll just pay the mortgage interest. They made $75k/year each. This article was very good until I read that part. For a small $300k mortgage in CA, that’s a joke. Some jobs have shower facilities in the building because they have gyms. Mine does. I rode my bicycle to work once 3 miles away took me 25 minutes, so I’m okay with that part unlike the other reader. I look at my mortgage payment differently. I do not consider the interest I pay I consider whether or not my total house payment is a good value. I live in a 2,600 sq ft home in one of the best school systems in the country, plus an unfinished basement ,and pay $1,500 per month including my taxes and insurance. I could not rent a place for less so am getting a good value. To each his own. I have a mortgage which costs me less than it would cost me renting. I personally have no desire to pay the mortgage off faster for two reasons- 1. we are not sure we will be here much longer and 2. I like to invest my money and earn much more than what my mortgage is costing me. I however do commend them on their accomplishment. I swear people have some of the dumbest excuses for staying in debt. We really are conditioned to think of debt as just a part of life. No wonder people are so broke these days. I’ll be paying my house off well before 30 years, and enjoying the security that comes with having no mortgage. It’s too risky to pay off your mortgage. I once thought like this but since have retracted my ways. There are a couple assumptions that they make when they undertake this feat. First is they assume they won’t get sick of each other or sick in general for a very long time (I had spousal infidelity issues). Also, they assume the jobs they have won’t relocate them (I’ve been laid off, downsized and relocated before). Who doesn’t want to have extra money in there pockets each month? The fact is, a mortgage is another form of a forced tax but a few people in each bank benefit instead of the “Gov”. I wish they had 80 year mortgages so I will pay $150/month for 80 years.